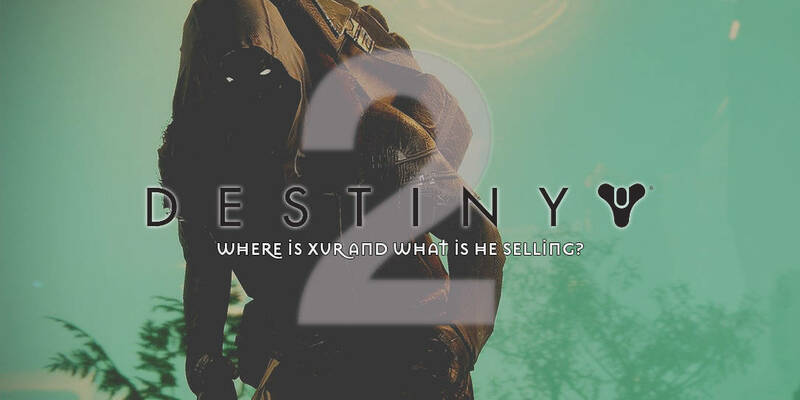 It’s that time again for another edition of “Where is Xur, and what is he selling?” This weekend, October 12-October 16th, Xur is over at The Rig landing zone on Titan, so spawn in and make your way towards him. Take a look below to see what exotics Xur is selling this week in Destiny 2. As powerful as shotguns can be, the Tractor Cannon shotgun may not be your heavy weapon of choice. With its Repulsor Force perk, enemies will get pushed back from the player when the gun is fired. The secondary perk — The Scientific Method — will temporarily increase the weapons stats when damaging enemies. It won’t get you a one shot off from players in PVP or PVE, but with the ability to push players/enemies back, it may help you in some dire times. If you’re looking for a pretty powerful exotic to use for your Titan, here you go. Snythoceps has a perk called Biotic Enhancements which increases melee lunge range and improved melee and super damage when you’re surrounded. The perk, Heightened Sense, gives you a more detailed radar and marks priority targets near you while standing in your rift. Granted, you would have to stay in your rift while it’s activated. The upside is you will be able to see enemies coming at you before they see you. This is a great exotic for PvP, so try it out.